My feelings for this story are so conflicted, I am not sure where to even start. Maybe starting with my initial reaction will get this review rolling... 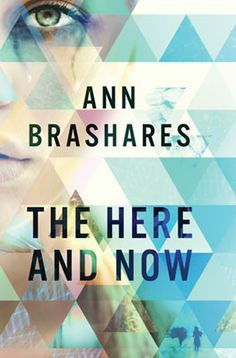 When I started The Here and Now, I was pulled into the story fairly quickly. I enjoyed learning about Prenna's community, and their rules, where they came from and why they left. I enjoyed her somewhat hesitant friendship with Ethan, and I liked knowing something with Ethan about Prenna that Prenna did not remember in the beginning. The story has a pretty fast moving plot, and it definitely kept me engaged. I liked the running, and chasing down of clues parts. But then, in the middle, the whole tone of the story kinda of shifted. It became more about Prenna and Ethan's burgeoning romance than the fate of the future, and that frustrated me. I got somewhat bored, and things started niggling at my mind. On to that in a minute. Prenna has been in this "present" for four years. When her and her community arrived, rules were made that were meant to protect the community and the ones outside of the community as well. Prenna is a bit of a free-thinker, but she generally follows the big rules to a tee. Until she has a conversation with a homeless man one day, and the rules start getting bent more and more. The fate of the future lies in Prenna's hands, and she has to forget the rules in order to do what was asked of her. It takes some time to kick the habits, though. One of the rules is that the community must never share what they are with an outsider. But as it turns out, Ethan already knows. And Ethan decides to go on this mission with Prenna, to help her in any way that he can. Here is where my issues really started. Once Ethan and Prenna decide to fix this mistake, things kind of.... stopped. The story became more about Prenna opening up to Ethan, and their relationship blossoming into a romance. In general, I do not mind a romance. I like them. BUT I hate it when a book loses its focus because of a romance. Unfortunately that's what happened. Until finally, not far from the end, mission is resumed. The story regained some of its original focus, and some of my focus returned. At the end of the story, we are still left with many questions. The community has been changed completely, the rules rewritten. Prenna won, but she also lost. Ethan as well. I liked Prenna sometimes, sometimes I did not. I never felt like I really knew who she was. Sometimes brave, sometimes not. Sometimes a leader and rebel, sometimes not so much. I wish that her characterization had been somewhat more consistent. Ethan was a good character for the most part. I feel like he was kind of written as whoever Prenna needed him to be at any point in the story. My biggest complaint is that the whole premise of the story, the reason for the community, was maybe not quite as well researched as I would have liked. I think that the purpose of the story is a smart one, and one that definitely needs to be talked about and put out there in any format that can bring awareness. BUT, make sure the cause of these issues is something that has been well researched. If I can go on the computer and find out there is a cure for the plaque that killed people in your book, it makes the story a lot less plausible and that stinks. Not a bad book, by far, but I definitely had some issues with it. The way it ended makes me think there may be a sequel in the future. I hope so, honestly. I think that with some minor adjustments, this could make for an interesting series and I think I would definitely be willing to give it a shot. I'm with you, I had issues with this one too. Pacing and the detour for romance were my biggest issues. I wanted to be more interested and honestly I think if we were told more about the future world it would have been stronger. The areas that touched on that were the most moving for me. Great review! Thank you for your comment! I thought at the beginning this was going to be a good story, but once the romance took over, I got frustrated and started losing interest. I agree completely that if they had shown more of the future it could have really amped up the story. I also ended up having issues with this one. I just really couldn't get into it at all. It was a struggle to finish. For me, it ended up being a 2 stars. I wavered seriously between 2 1/2 and 3, but the beginning and the ending were enough to bump it up for me! Still, I was hoping for a lot more. Never fun! Hmm. I have this one as well. It sounded really interesting, but I really don't like it when a character isn't consistent. It's one of my pet-peeves. I'll have to see if I end up into it enough to finish it. I was able to finish it because towards the end the action picked up and the story got back on track. I hope that you end up enjoying it enough to finish it, at least! I know it stinks to have to DNF, but sometimes it just has to happen! Thank you so much for your comment!